Michael with his Family and Oprah. 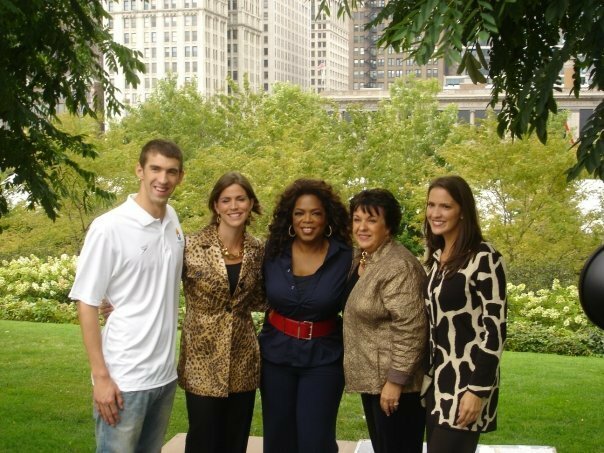 Michael with his mom, sisters, and Oprah in Chicago.. Wallpaper and background images in the Michael Phelps club tagged: michael phelps swimmer phelps american. This Michael Phelps photo might contain سٹریٹ, شہر منظر, شہری ماحول, گلی, شہر ديکھا, شہری سیٹنگ, رائل پام, roystonea regia, رویسٹنیا ریگیا, لائیو بلوط, and لائیو شاہ بلوط.